In the cult classic 1978 movie Animal House, we laughed at the outrageous antics of the notorious Delta Tau Chi fraternity as they partied in togas and generally misbehaved their way through college. The movie was funny, but to some people in Ontario, living in the midst of “student ghettos” in university towns such as Waterloo, London and Kingston, the presence of student housing in their neighbourhoods is no laughing matter. 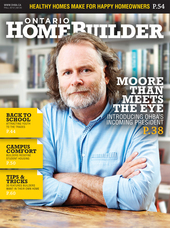 But a collection of savvy Ontario builders have recognized the need for something more than clichéd frat houses, dark basement apartments and two-bedroom homes that have been converted to house a herd of potential scholars. Builders are coming to the rescue and developing well-planned, safe and affordable student housing projects that appeal not only to the design-conscious students but also their parents — who are probably footing the bill. The City of London has been studying its “near-campus neighbourhoods” for many years — specifically investigating residential intensification in these communities. A number of student housing issues have been identified, such as the exodus of long-term residents, poor property maintenance, the large number of by-law enforcement complaints and high resale costs based on rental income potential versus comparable resale value. Waterloo, home to two universities and a student population of approximately 40,000, recently issued a report recommending the redevelopment of its Northdale neighbourhood, a collection of postwar single-family homes located in close proximity to the University of Waterloo and Wilfred Laurier University. Over the years, students have displaced permanent residents in Northdale, sparking public concerns over tenant misconduct, neighbourhood tensions and reduced property values. Meanwhile, the student population in Waterloo is expected to increase, with 15,900 more bedrooms required by 2029 in Northdale alone (including students, faculty, staff and other residents), as predicted by the study. MMM Group, a professional services firm specializing in consulting to government and the private sector, worked with Waterloo Council on the report to develop a new land use plan, zoning, urban design and architectural concepts for the Northdale community. “Our vision was to revitalize and urbanize the neighbourhood, developing it for more urban and contemporary mixed use, with more condos and apartments and retail/commercial space on the ground floor,” says Chris Tyrrell, MMM’s manager of planning and environmental design. Tyrrell acknowledges that the Northdale plan was primarily designed to provide Waterloo’s growing student population with an ideal location, situated in close proximity to both of Waterloo’s universities, where they can “live, work, study and play.” He says that the neighbourhood will eventually evolve into a mixed-use area. MMM is also working with city planners in two other university towns — Kingston and London. A number of developers are already heavily involved in the Northdale community. At the time of publication, according to the City of Waterloo, 38 permits have been issued with a construction value of almost $70 million. Another 11 permits, totalling just over $11 million, are currently under review. 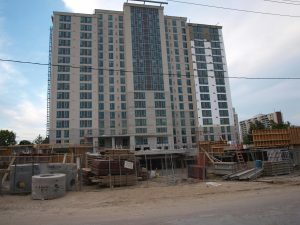 With student enrollment in Waterloo and other Ontario university towns increasing annually, some residential developers across Ontario are seizing the opportunity to build made-for-student condominiums and multiplexes featuring up to five bedrooms with common areas, parking, social rooms and gyms. Seeing rental potential and an attractive investment opportunity, private investors, property owners and parents of students are jumping on board. York University in northern Toronto is Canada’s third largest university with 54,000 students. Recently Campus Suites Inc./Suite Life Group, an international student housing development company, was confirmed by York as the preferred builder of the university’s newest student lifestyle development, Pond’s Edge. 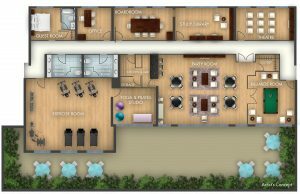 When completed in 2015, the mid-rise complex, situated on 15 acres, will feature one- to four-bedroom rental units with ensuite bathrooms, gyms, multi-purpose rooms, gaming centres and study rooms. Campus Suites is working closely with York University and partner Forum Equity Partners to make sure that the needs of all stakeholders will be heard and incorporated in the final designs. 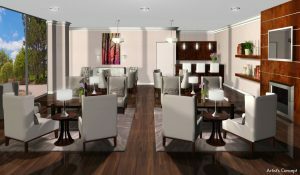 “In contrast to the existing ‘student ghettos’ near the university, which consist of single-family homes with multiple bedrooms added on to accommodate as many students as possible, we are providing programmatic, purpose-built housing within a fully managed community,” says Campus Suites president Henry Morton, adding that life safety systems will be incorporated in the designs. Morton says that, while this trend in student housing has been popular in the U.S. for the past 15-20 years, it has only recently caught on in Canada. Pond’s Edge is planned to be built in four phases at the south end of York University’s main campus. When complete, it will include retail, offices and parking. In other parts of Ontario, some developers are catering to student populations by default, with investments in multi-family condominiums and apartment buildings that appeal to their university populations. Homestead Land Holdings Limited of Kingston has about 4,000 units in the city. Chairman Brit Smith estimates that 20 percent of these are occupied by students. “We often find that parents lease our units for their children who are attending Queen’s University,” Smith says, noting that many of his company’s properties are conveniently located close to the school. Homestead also owns approximately 2,000 units in London, 5,000 in Ottawa and 5,000 in Toronto. Of these, Smith estimates that 10 percent are student-occupied. He also admits that his company’s older properties in these centres are losing ground to new buildings geared to student populations. 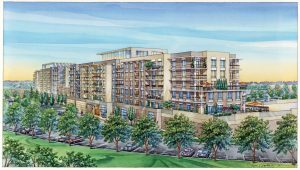 A similar situation exists in Barrie with the 200-unit MarketTown condominium project, which is being developed by Penady (Barrie) Ltd., a joint venture between Mady Development Corporation and Pen Equity Realty Corporation. Marketed under the tagline, “Own for the same price as rent,” the entry-level condo development features one-, two- and three-bedroom units ranging in size from 552 to 949 square feet, and in cost from $216,000 to $278,000. MarketTown is located a short distance from Barrie’s Royal Victoria Hospital and Georgian College, one of the fastest-growing colleges in Ontario with 10,000 full-time students and 2,200 staff among its three regional campuses. Mady’s vice president of sales and marketing Jonathan Mueller says that, while 80 percent of MarketTown buyers are “local first-time investors from the 705 and 905 regions,” the rest are parents of Georgian College students. Unique among condominium projects, MarketTown features 75,000 square feet or retail space at ground level. According to Mueller, seven acres of Mady’s 50-acre property has been sold or leased to “big box” retailers such as Loblaws and Home Depot, as well as various restaurant chains, banks, service businesses and professionals, offering tenants a tremendous variety of shopping and dining options at their doorstep. With student populations in Ontario on the rise, the demand for housing near our universities continues to increase. 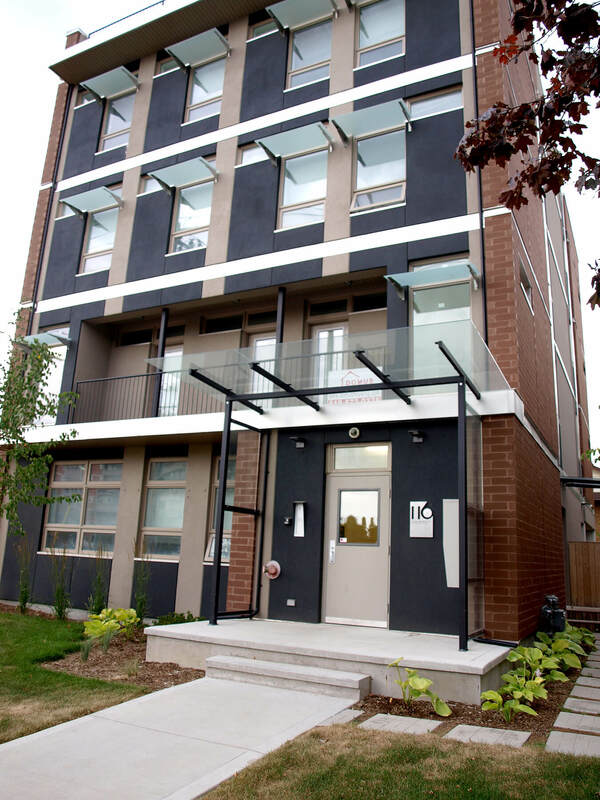 While schools, municipal officials and residents in university towns are re-examining traditional “student ghetto” housing in their midst, some Ontario builders are seizing the opportunity to provide modern and slightly upscale residential options that appeal to students, parents, investors and the general population. As long as young Ontarians pursue a higher education, the demand for new housing in university towns will continue. And that provides a great opportunity for Ontario home builders to take advantage of this untapped market.